It was a sunny afternoon yesterday, one of those perfect, bright, in the seventies days, and everyone was busy going here and there in a flurry of activity. 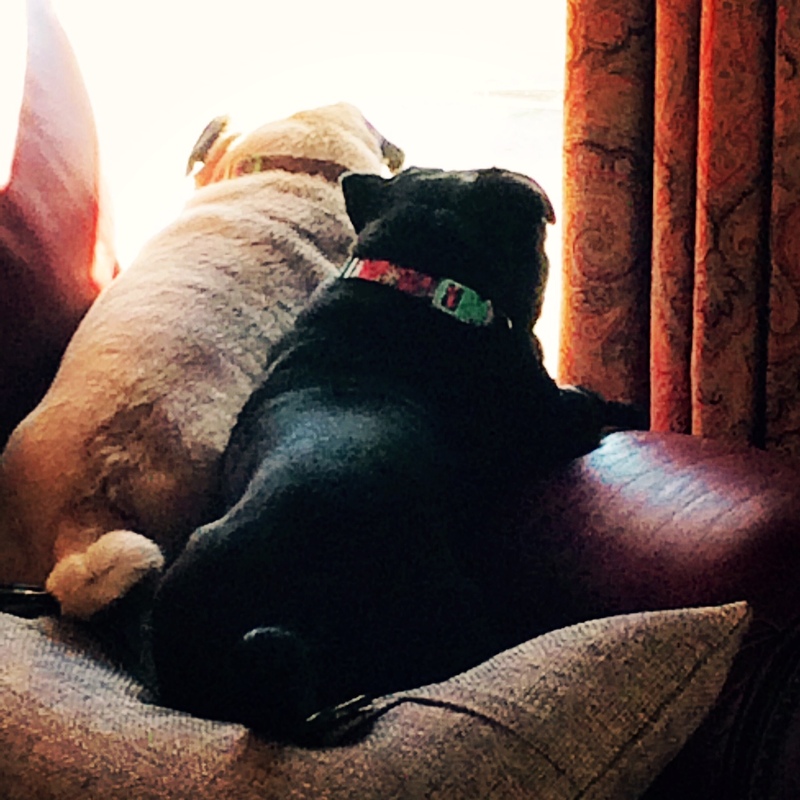 Ming and her buddy, (that’s Lily) were longing to go outside and play, but at the moment it just wasn’t happening. So, she was content to gaze out the window with Lily by her side. I am sure she was dreaming of what she would do it she were outside. Maybe she would chase a bird, or grab a stick and get Lily to chase her. She loves to lounge in the sunshine, basking, or roll in the grass, and Ming loves to smell Flowers. She really does! She will go right up to a beautiful blossom and smell it. I call her Ferdinand after the childhood story about a bull that was supposed to bull fight, but just wanted to smell flowers. Do you know the book? She and Lily did get to go outside later in the day for a walk and a romp. It is a joy to see her enjoy the fresh air and sunshine. Then she was content to come inside again and dream. I love lazy days like this day, and so does Ming. Ooooo lalala! This chicken is moist and juicy! I don’t know about you, but I pretty much like stuffed anything, because it usually means extra flavor and deliciousness. I developed this recipe recently because boneless chicken breasts can be juicy and flavorful when done right, and anything but boring! So here we go! 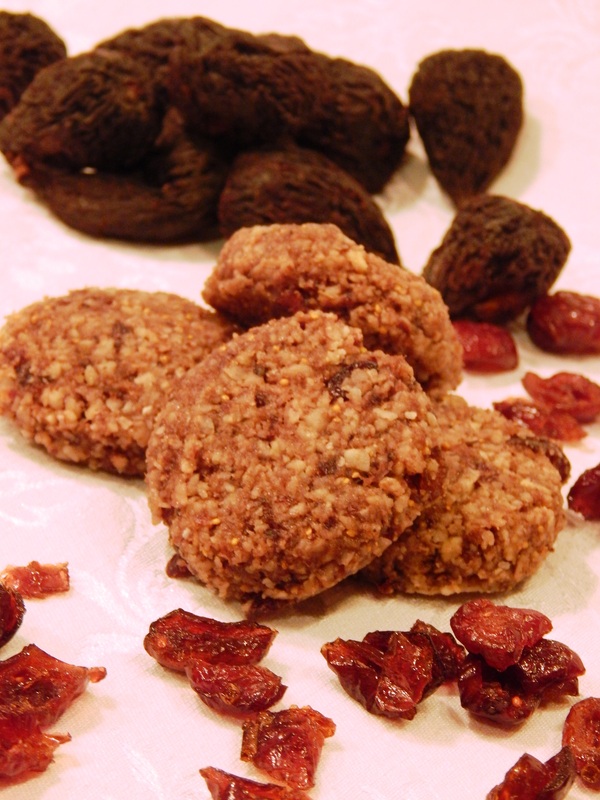 I hope you try these, they are nutritious and so festive! You can prep these up to a day in advance and store them in the refrigerator for a super fast dinner. 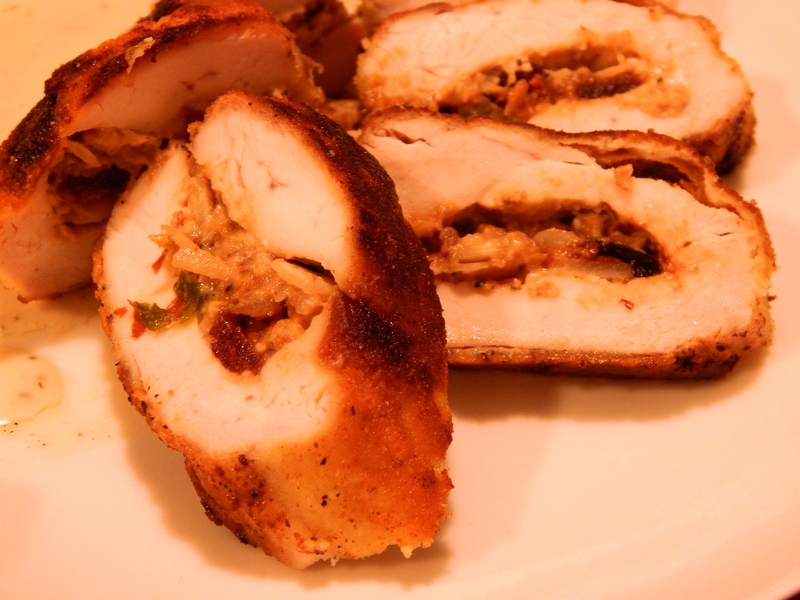 I served them with a tarragon cream sauce, but they are great without it. The sauce bumps it up to extra fancy. Soak the dried apricots 30 minutes in very hot water to soften. Set aside and while they are soaking gather the rest of your ingredients. In a small blender or food processor, puree the apricots after draining off the soaking water. Add Sunflower Seed Butter, Salt, Pepper and Lemon Juice and fully incorporate. Stir in by hand the cranberries, sliced almonds and scallions. Once they are stuffed, you are ready to coat them. It is simple. Crack the egg into a shallow dish, put the almond flour in another shallow dish, and dip the chicken into the egg on both sides, then roll in the almond flour. Repeat for all four breasts. Then season them with salt and pepper as you would like. You can at this point cover then and refrigerate until you are ready to cook them. Pre-heat your oven 375º degrees. Heat an oven proof pan over medium high heat on your stove top and add 2 tablespoons of olive oil. 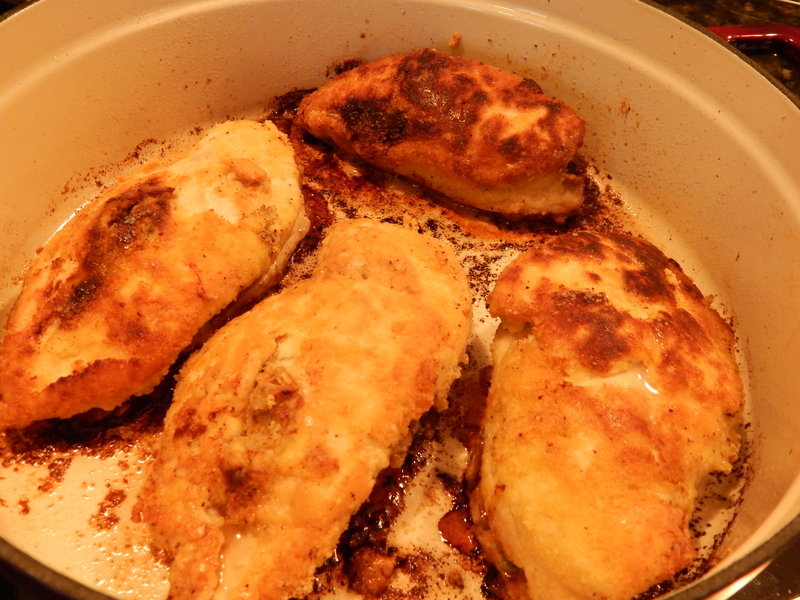 When oil is hot, add the chicken breasts and brown on both sides. This will take approximately 3 minutes a side. After browning, they will not be completely cooked. Slide your oven proof pan with the chicken into the pre-heated oven for 15 to 20 minutes until cooked all the way through, 365º degrees in the center. 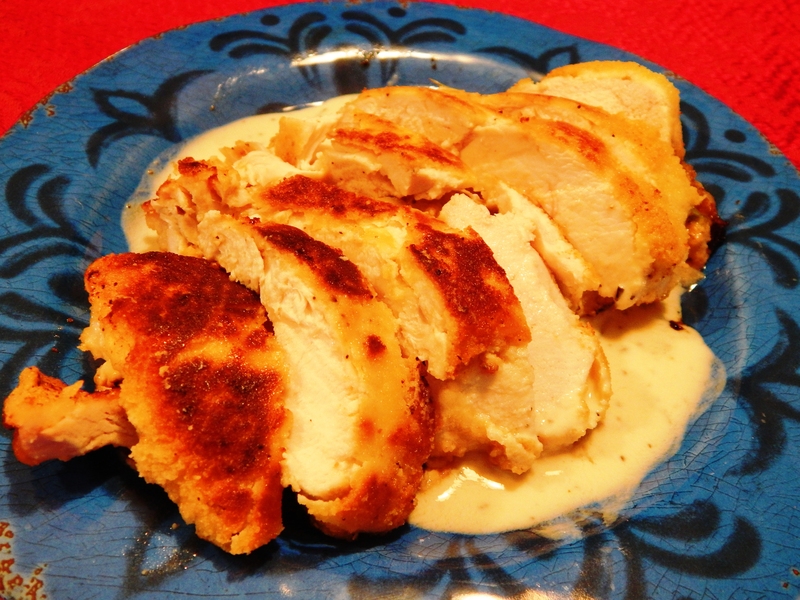 Here is a quick and easy cream sauce that pairs nicely with chicken or vegetables. It is dairy free! 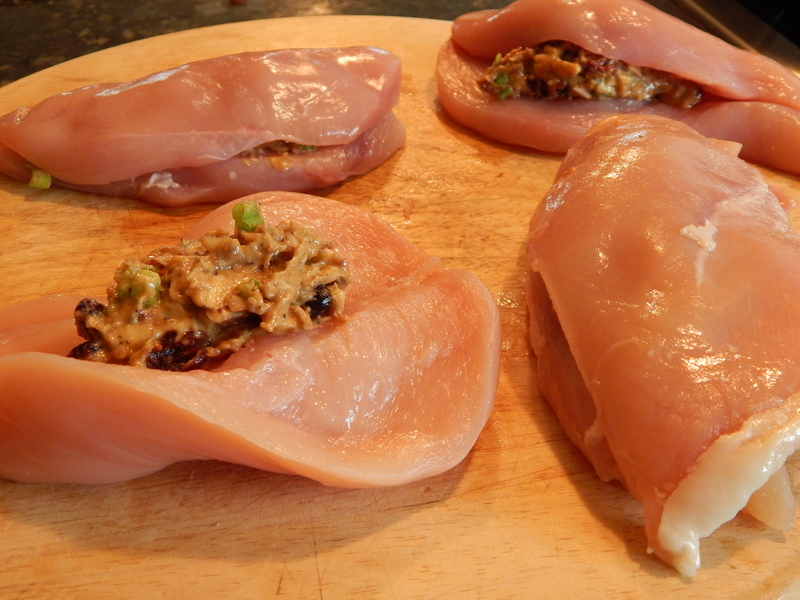 It is shown here with my Cranberry Apricot Stuffed Chicken Breasts. Simmer all the ingredients until reduced by half! That’s it, and it is a delicious, dairy free, accompaniment to chicken or vegetables. 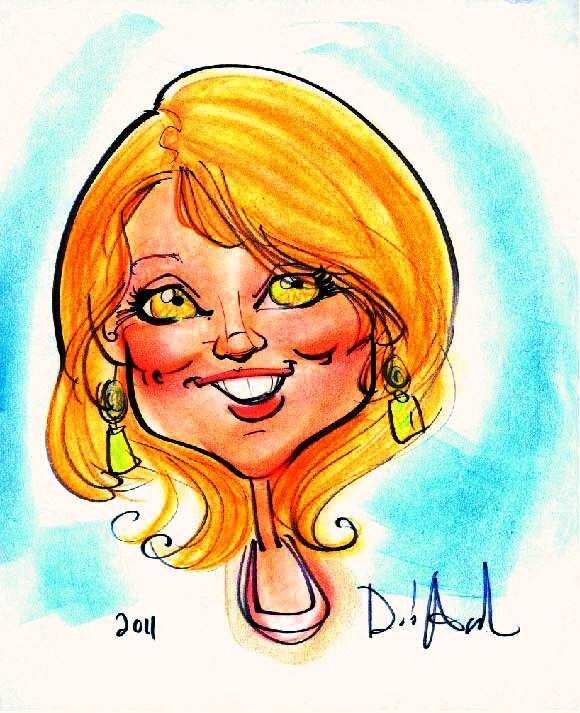 I love little energy bites when I am on the go, in a hurry, or after an afternoon workout. The pace seems to always pick up when the school year starts doesn’t it? Summer has been relaxed and more laid back with the schedules, but now we are watching the clock more and checking our daily calenders. Am I the only one? You can make these in your oven or a food dehydrator. 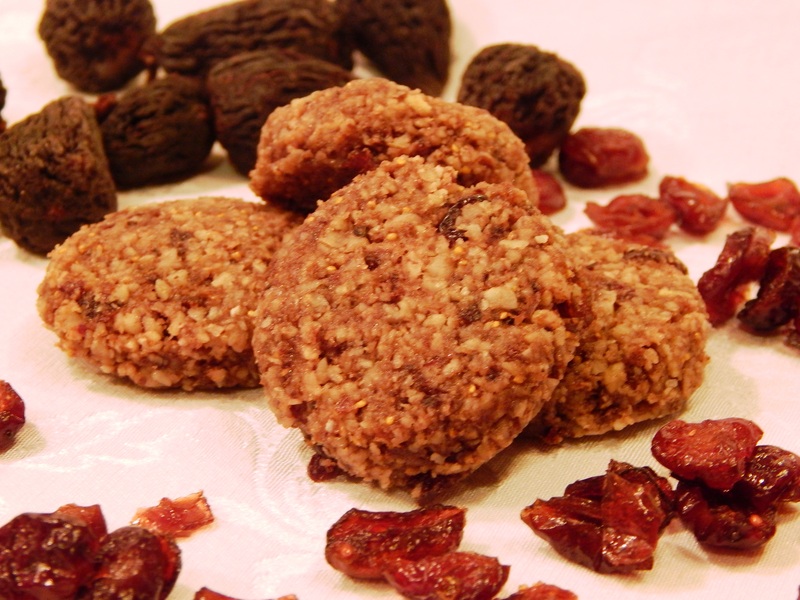 They are easy and a delicious, healthy addition to your snack rotation that might save you time and your sanity when you are on the run. Directions: Soak your figs submerged in very hot water for 30 minutes to soften. Add them to a food processor with the pecans, brazil nuts and coconut and pulse until they are a fine consistency. Add remaining ingredients to the food processor and pulse again until it is combined and a sticky consistency that holds together. Scoop into tablespoon sized mounds. (I used a tablespoon cookie scoop, but you could also use a spoon) and roll into balls, then flatten slightly with the palm of your hand. Place on your dehydrator trays or on a parchment lined cookie sheet if you are baking. Dehydrate for 18 hours at 105º degrees or bake in your oven at 250º degrees for 45 minutes. I like to individually package them in twos so we can grab them and go. Enjoy these! They are so good and good for you! Sometimes I just gotta have something crunchy! Crackers are especially nice, because I like something to go with the crunch, if I am not eating them plain for a quick crunch fix. You can dress up a cracker with toppings. I personally like to pile them with meat and veggies or eat them with a salad. Some of the benefits of pumpkin seeds are healthy fat, magnesium, zinc, tryptophan, and studies also show they aid in hair growth. 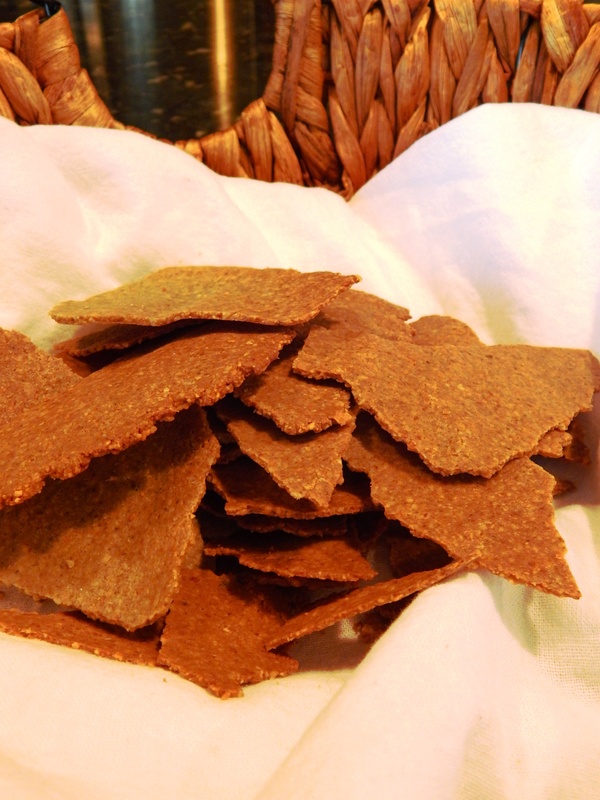 Sunflower seeds contain many beneficial vitamins as well, including B vitamins and vitamin E.
This recipe for crackers is free of all major allergens, no nuts, dairy, soy, gluten, grain, and they are easy and fast. You will need a high speed blender or food processor to grind the nuts into flour, two parchment lined cooking sheets, and a rolling pin if you want them thin. Directions: Pulse the seeds in a blender or food processor until you have a very fine flour consistency. Transfer the ground seeds to a bowl. and add the salt. Next Whisk egg and incorporate it into the nut flour mixture. Melt the coconut oil and tahini in the microwave together for ten seconds then whisk to incorporate, whisk in the lemon juice to the coconut oil mixture. Add the liquid ingredients to the nut flour, egg mixture and stir vigorously until a ball forms and the ingredients are thoroughly blended. Divide dough in half, form into balls and place on two separate pieces of parchment paper. Top each sheet with another piece of parchment paper to roll them thin and keep the dough from sticking to your rolling pin. Roll or pat each cracker round out until 1/4 inch thick. Take off the top parchment paper and bake in the oven 325º degrees for 15 minutes until golden brown. After they cool, break into pieces. Store cooled in an airtight container. 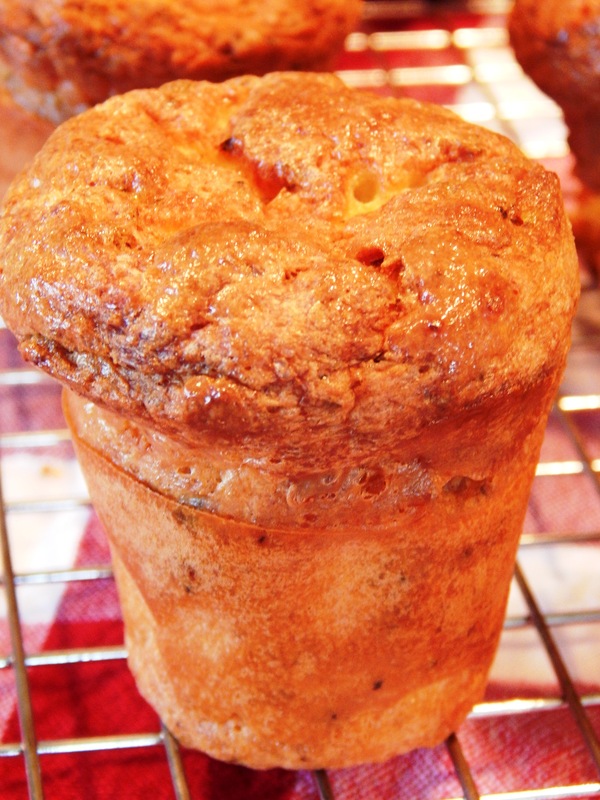 The air is starting to cool here in preparation for Fall, and that makes me crave popovers! According to James Beard, although they resemble Yorkshire Pudding, they are purely an American creation. I have a lot of English heritage, and grew up eating recipes my Grandmother made from what she called “the old country” (England). 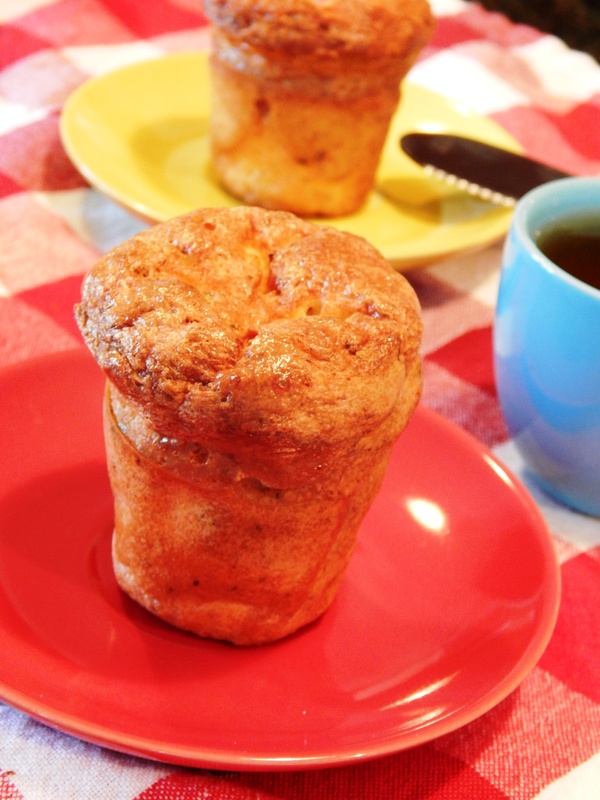 So here is a version of a popover that I find to be Fall Comfort Food in my humble opinion. 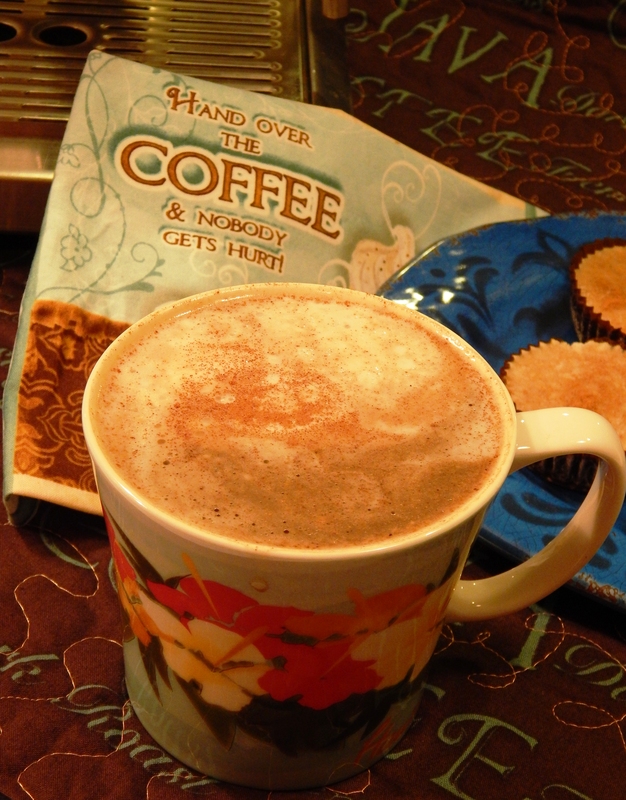 It is a little American, with an Italian Flair and a bit of English whimsy, but mostly they are plain delish! I added some good quality parmigiano reggiano, which is SCD Legal, but if you don’t tolerate dairy, they are equally delicious without it. They are so, so good hot from the oven! They are fun to eat, and I used leftover popovers to pack sandwiches for my daughters lunches the next day. Just split them and fill them for a mini sandwich. 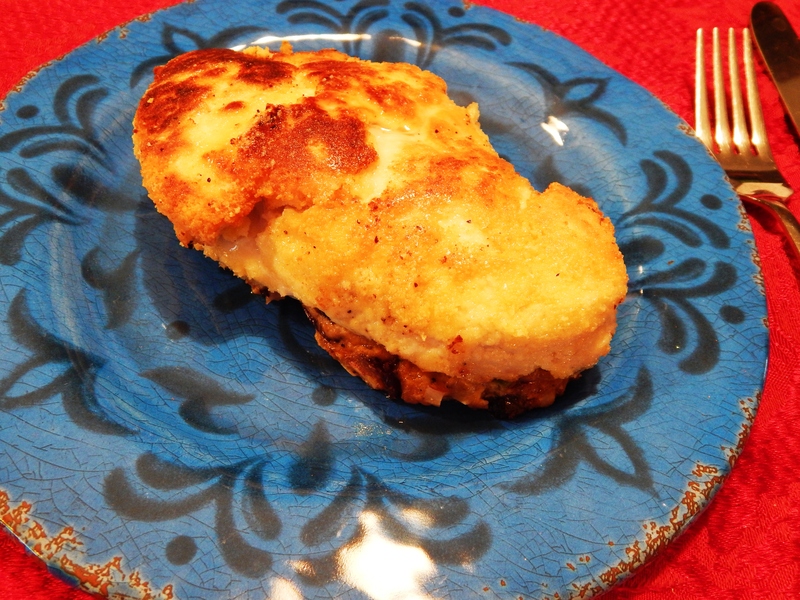 So, enjoy a little Fall comfort food and make some popovers! 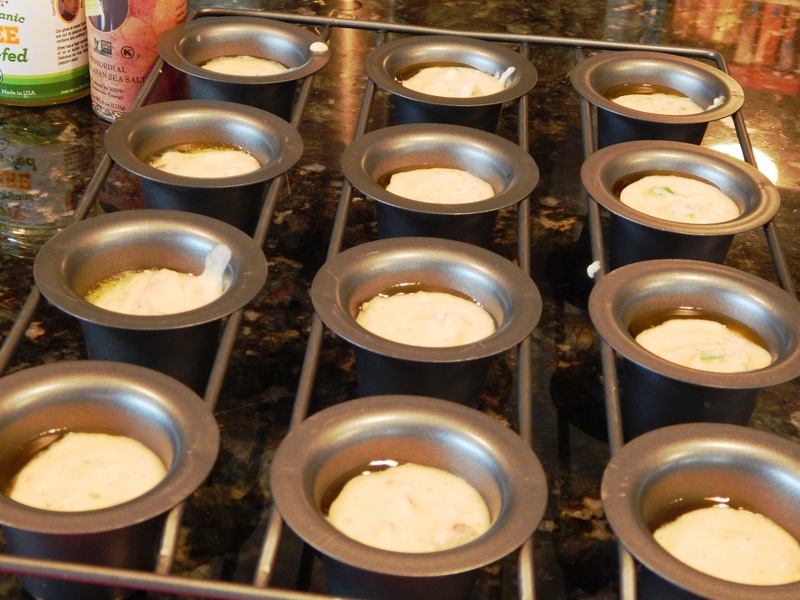 You can use a popover pan like this, but a muffin pan works just fine! It makes a dozen puffy popovers! Preheat your oven 400º degrees. 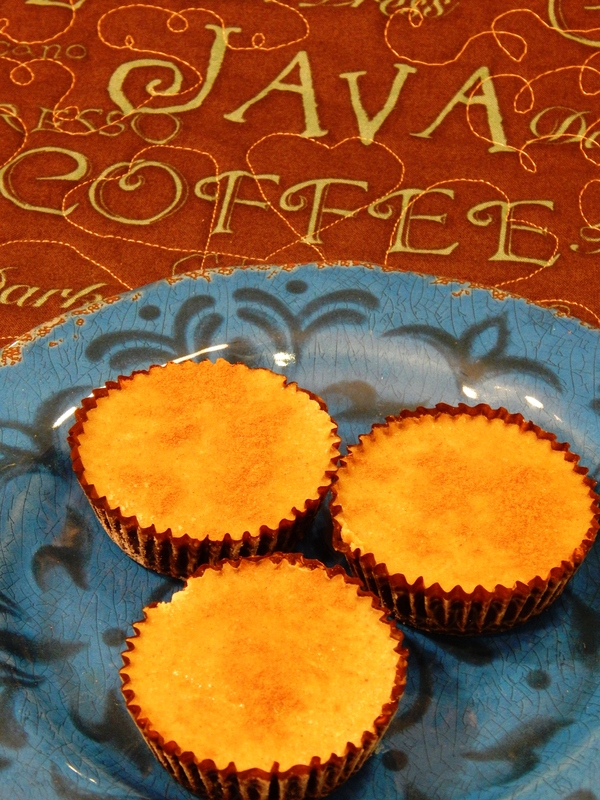 Place a half teaspoon of melted coconut oil or ghee in each popover or muffin pan cup and brush it up the sides. Crack eggs into a mixing bowl and whisk together with the coconut milk, whisk in the coconut flour and keep whisking briskly until no lumps, stir in the remaining ingredients, then fill each popover or muffin cup 2/3 full with batter. Don’t overfill, leave room for them to pop up! 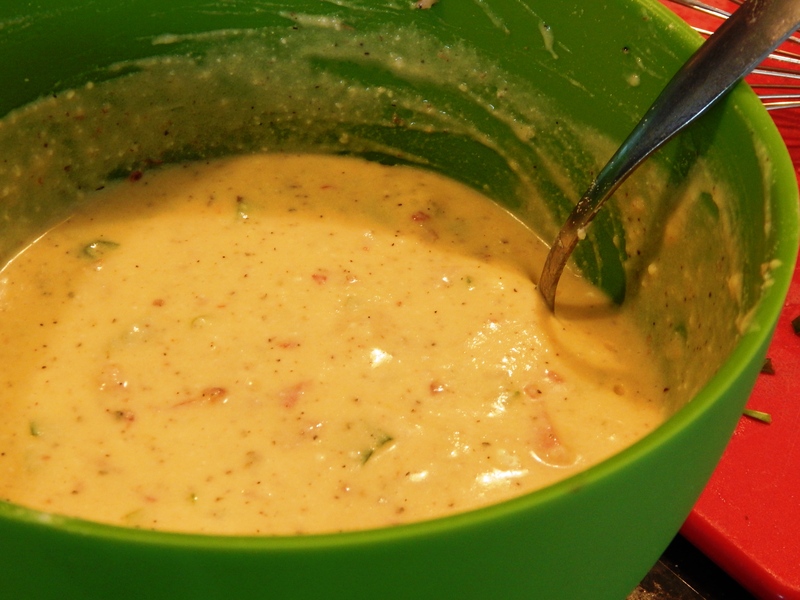 Your batter will look like this. Place the pan in the preheated oven and bake 30 – 35 minutes keeping an eye on them until they are golden brown. Don’t be tempted to open the oven door. 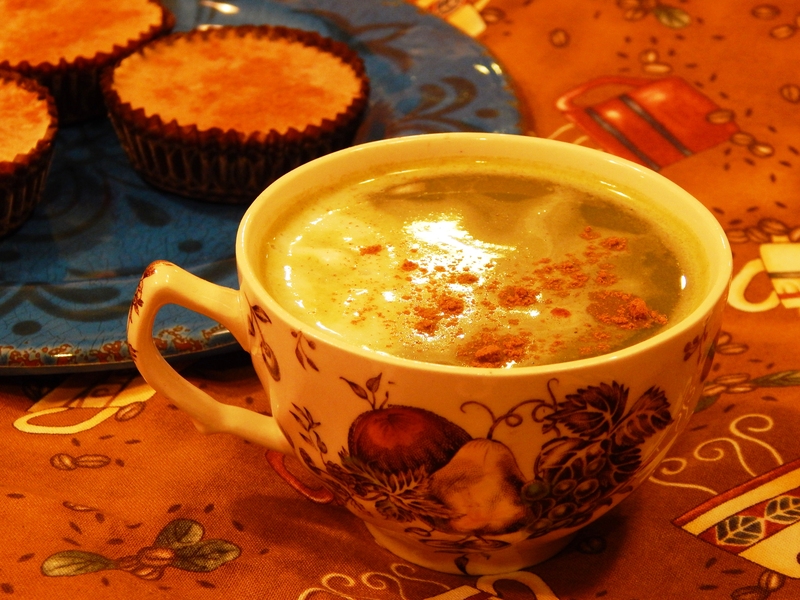 Think Souffle! When they are done, remove them from the oven and take them out of the pan while still hot and cool. Eat them warm, or they make a very nice mini-sandwich!